User Manual for MC Zenitar 2.8/16 FISH-EYE Lens. There are electronic contacts on this Lens to communicate with the Canon EOS camera so it can assist Canon EF auto-focus Lens and enable visual or sound focus confirmation and accurate exposure metering. In this chip the information for this lens with indication Aperture (2.8) and Focal length (16) is placed. Using this lens the information will be written down and you can easily find all pictures. This information is very important when you use many lenses. 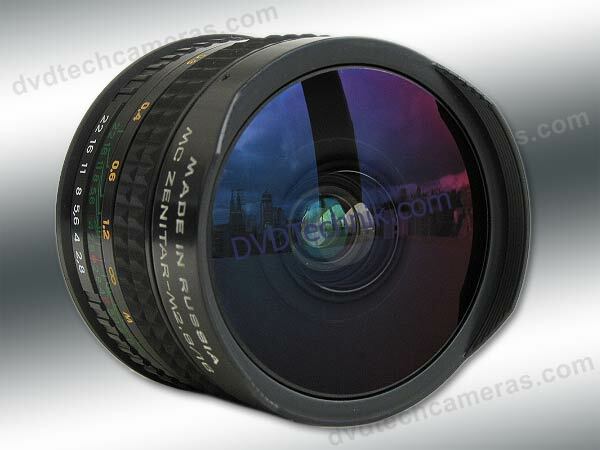 Besides you can use this adapter with any other lens, but value will have the information 2.8./16mm. Линза имеет адаптер из встроенным чипом, который позволяет точно наводить на объект из световым (звуковым) подтверждением фокуса. В этот чип помещена информация для этой линзы с указанием диафрагмы (2.8) и фокусного расстояния (16мм). Используя эту линзу вся информация будет сохранена и вы легко сможете найти все фотоснимки. Эта информация очень важна когда вы используете много фотообъективов. Кроме того, вы можете использовать этот адаптер из любой другой линзой, но значение будет иметь информацию 2.8./16mm. This chip has possibility to change parametres relative aperture and focal lens distance. For example you have other lenses (2.8/105, 3.5/135, 1.5/85 ...) which are necessary for identifying in your base of pictures. It is not necessary to waste money for purchase of other adapters, just use our adapter of last generation. You can make all changes in the adapter on your camera by your own with the help of the instruction which you receive by e-mail.